This is the name that will be associated with your keds.com/CA account. Yes, Id like to receive emails about new styles, exclusive offers and enter the monthly shoe giveaway. 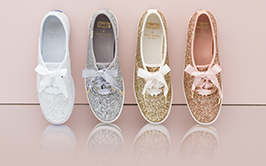 You will use your email address to login to Keds.com/CA. We’ll automatically include your mailing address for a quick check-out.